Few other vehicles are as well-known or have the longevity of the Honda Civic. 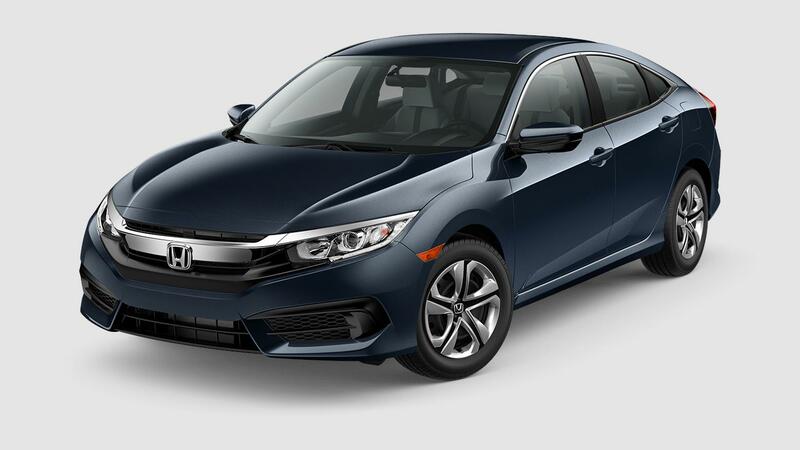 For years, the Honda Civic has been a market mainstay, combining exceptional efficiency with panache, sporty style, comfort, and utility into a vehicle that has been a top contender in its segment for many years. The new 2018 Honda Civic LX compact sedan is no different, boasting the array of great qualities people have come to expect from Honda vehicles. And, with the strong safety net of Honda’s extensive safety and security measures behind it, the new Civic LX promises relief and ease on every drive. Come on down to Rock Honda in Fontana, CA and check out the new Civic LX, ready for test drives right now. We serve all of the San Bernardino County area, including Rancho Cucamonga, the Inland Empire, and San Bernardino, so come let us help you find the right vehicle for your needs, like the new 2018 Honda Civic LX compact sedan. See you soon! Honda packed a lot into the compact frame of their new 2018 Honda Civic LX compact sedan. A great wealth of features and options await to serve you and your passengers. 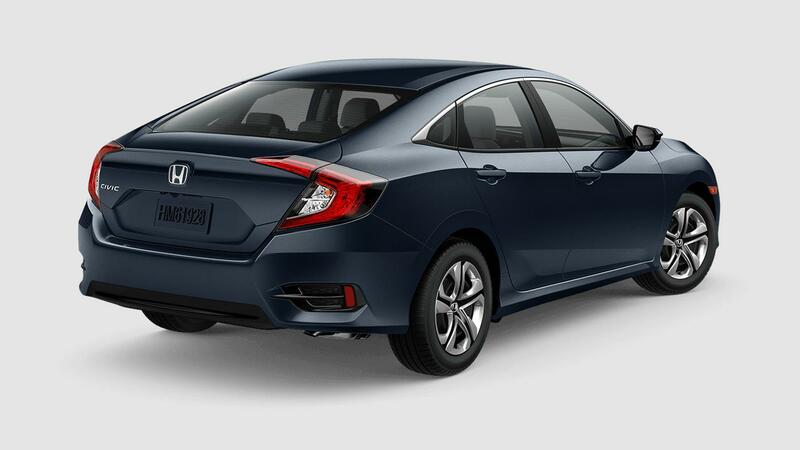 Interior features such as front bucket seating with adjustable head restraints, automatic climate control system, 160-Watt audio system with 4 speakers & Bluetooth®, and a multi-angle rearview camera with guidelines help keep the new Civic LX safe and accommodating. On the outside, exterior features such as projector-beam halogen headlights with auto-on/off, body-colored power side mirrors, integrated rear-window antenna, and Advanced Compatibility Engineering™ (ACE™) body structure all come standard in the new 2018 Honda Civic LX compact sedan. Come down and check one out today! The new 2018 Honda Civic LX compact sedan doesn’t just pack exciting equipment, it also boasts exhilarating performance as well. Under the hood, the new Civic LX is powered by the proven 2.0-liter 4-cylinder engine, providing output of 158 horsepower and 138 lb.-ft. of torque! Coupled with its comfortable interior accommodations and ample cargo volume, and the Civic LX is an exceptional choice all-around. Come on down to Rock Honda in Fontana, CA and check out the new 2018 Honda Civic LX compact sedan today!